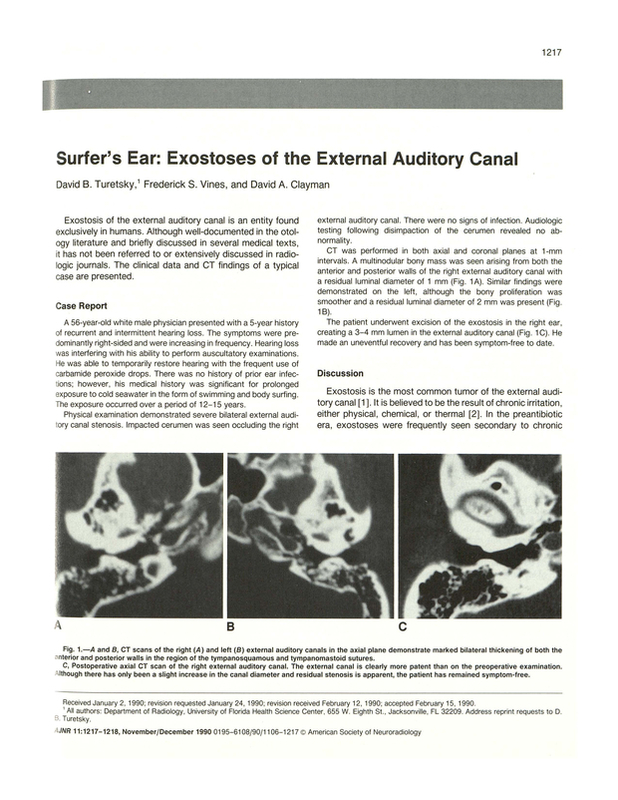 Surfer's ear: exostoses of the external auditory canal. Department of Radiology, University of Florida Health Science Center, Jacksonville 32209. You are going to email the following Surfer's ear: exostoses of the external auditory canal.